Because we can't become ourselves by ourselves. 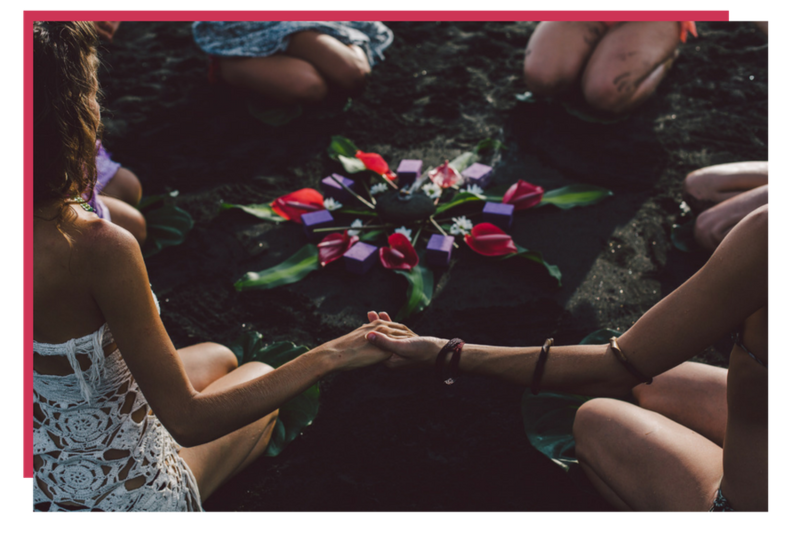 Join a circle of women for 12 weeks of empowered connection. You'll be in a small group exploring big themes in your life alongside women who are walking a similar path. "Doing the work" can be exhausting and isolating when we're silo'ed off in our own closets, yoga mats, or journals. Together is better. And "working at it" turns into fun and connection, flow and ease, instead. Exploring big themes in your life, out loud, with like minded sisters takes your intention and introspection to a level you never imagined. Through others, we can become visible to ourselves. You have been on a path of personal development. You feel alone in your journey to bump your life up to the next level. You crave clarity, you're ready to take a look at your inner glass ceiling, and you yearn for community. You're smart, conscious and usually effective at getting your needs met. You're just not sure why you keep bumping up against the same blocks over and over again, feeling alone and stuck in certain areas of your life. You have a sense that it's possible to transform your life, but you have no idea how. If this sounds anything like you, Sister Circles may be just what you need. Three consecutive weeks (with one week off) each month, for 3 months. Each week a new topic will be presented and then explored by the group through discussion. This group meets live, via videoconference, via computer or phone app. Each meeting is 60-75 minutes. We'll have lots of group interaction and break out sessions! $597 to join a circle. Each circle is limited to 9 women. Contact me if you're interested, and we can have a 20 minute chat to make sure this is a fit for you before signing up.